Alongside our new watch showroom, ochs und junior has other news. Embassy was on board with us for our first three years. They provided us with a wonderful platform on which to grow our new, different and laterally-thought watch company. Now we have now secured a new strategic alliance here at ochs und junior AG. 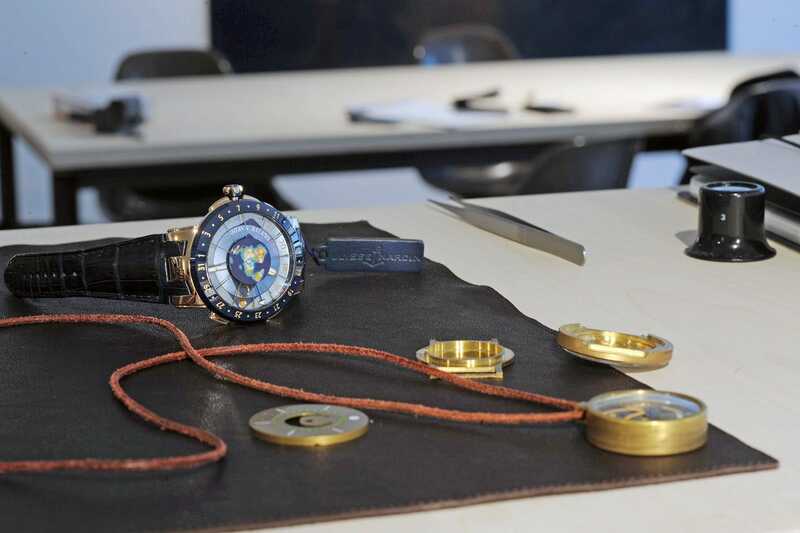 The participation of Ulysse Nardin in ochs und junior represents a long-term strategic orientation. A strategy that strengthens cooperation between the two companies, but also with Ludwig Oechslin, in view of his retirement from the post of Director of the Musée International d’Horlogerie (MIH) in 2014. Ludwig Oechslin, Kora Imesch Oechslin, Ulysse Nardin and Managing Director Beat Weinmann are now partners in ochs und junior AG. We will be staying true to the ochs und junior vision, producing radical, uncompromising timepieces for a niche and highly individual clientele. ochs und junior is devoted to maintaining direct contact with the purchasers of its products, and our sales are conducted only via our showroom on Zürichtrasse in Lucerne and the internet (for which we are building a webshop). We will continue to base our products on ETA’s versatile, proven mechanical calibres, although we are planning new projects powered by Ulysse Nardin’s new self-winding UN-118 movement.